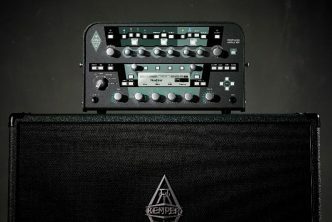 San Francisco, October 9, 2018 – Boutique guitar amp builder BC Audio (bcaudio.com) revealed the Bel Air 40, a meticulously hand-crafted all-tube guitar amplifier with a unique set of front-panel controls that let the player reach inside the amp, so to speak, and re-wire the power section. The Bel Air 40 features four 6V6GT Power Tubes, two octal 6SL7GT preamp tubes and a GZ34 tube rectifier and is built with true point-to-point construction – no turret, eyelet or printed circuit board. Power ranges from 40 watts to under 5, depending on how the Power Tube Configuration switches are set. “Quad/Pair” switches between two or four 6V6s. This serves as a half-power switch, with the Quad setting providing more girth and punch. 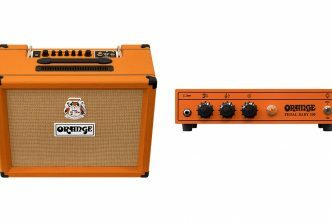 “Pentode/Triode” reduces power by about half in Triode mode, and also noticeably changes the tone and feel of the amp, with Pentode mode being tight and clean, while Triode mode feels smooth and loose. “Fixed Bias/Cathode Bias” changes the dynamics of the power section, cathode bias mode being slightly lower-powered, more compressed and a little bit browner. “Presence” brings out the chime and sparkle, while “Cut” tames the highs generated by overdriving the power tubes. The 3-way “NFB” (Negative Feedback) switch alters the damping and open-loop gain of the power section, with the Zero NFB setting being the rawest and touch-sensitive. The Bel Air 40 is a non-Master Volume design. It uses 6SL7GT octal preamp tubes for their rich, thick sound and power-tube- like breakup. Controls include Volume, a 3-way Bright switch, Body (for tightening up the low end), and a three-band EQ that can by bypassed for the purest exploration of the power section’s overtones. 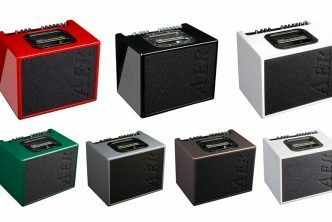 Pricing: $2900 (pro-net), direct from bcaudio.com. Matching 2×12 speaker cabinets are available from $850. BC Audio builds hand-made all-tube non-clone guitar amps. Recipient of Guitar Player’s EDITORS’ PICK AWARD and Premier Guitar’s PREMIER GEAR AWARD. 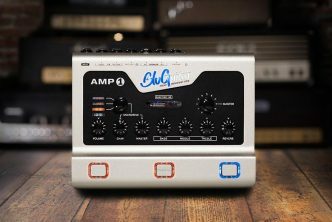 BC Audio was founded by award-winning guitarist and tube amp master builder Bruce Clement, who has been wielding a soldering iron since the late 1970s. BC Audio products are proudly made in San Francisco, California, USA.